In the past we have visited several of these privately owned group of luxury properties and have had a wonderful experience at every one of them, in fact, Barbara stayed at the Corinthia Budapest and the original Malta property on several occasions as well as the flagship Corinthia London and visited the elegant St. Petersburg and Prague hotels. The new Corinthias, which we have not yet visited, at Tripoli and Khartoum are stunning examples of modern architecture at its most innovative. However, in most of the European hotels, an existing historic building was redesigned to meet the exacting standards set by the Pisani family of Malta, founders of the 5-star Corinthia brand. Their desire for old world elegance and impeccable style for all properties carrying the Corinthia name was set by the first Corinthia (see Corinthia Palace) which also set the high standards for the quality, friendliness and loyalty of their staff, many of which have been with the brand since its inception. The Lisbon property is currently undergoing a complete refurbishing and the design and colors chosen lend a fresh new air to the spacious rooms and suites. 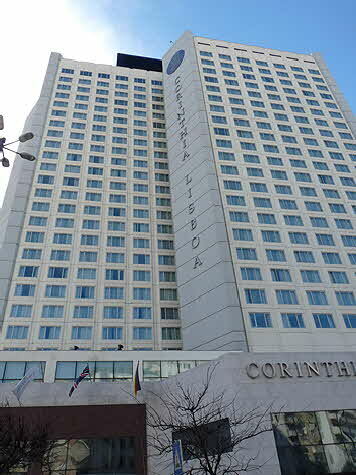 While all the 518 rooms and suites at the Corinthia Hotel Lisbon offer the finest in facilities and the latest in technology, a special treat is to experience the Executive Club Sky Lounge, a large area on the 24th floor dedicated to personalized service. 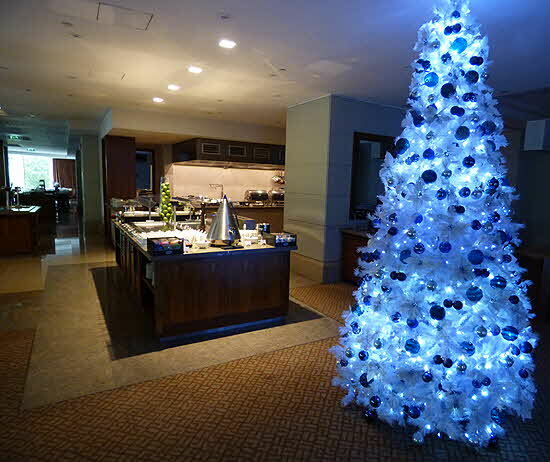 There is ample space to work, meet colleagues, or just relax. Daily breakfast is served and food, snacks and drinks are available all day and well into the evening. The hotel has 2 restaurants, Cete Colinas and Tipico and two bars, the Tempus Lounge and, in warm weather, the Terrace Lounge. Cete Colinas is the less formal restaurant where an extensive buffet breakfast, lunch and dinner are served in a relaxed atmosphere. During spring and summer, Cete Colinas also serves meals on the Terrace Lounge. 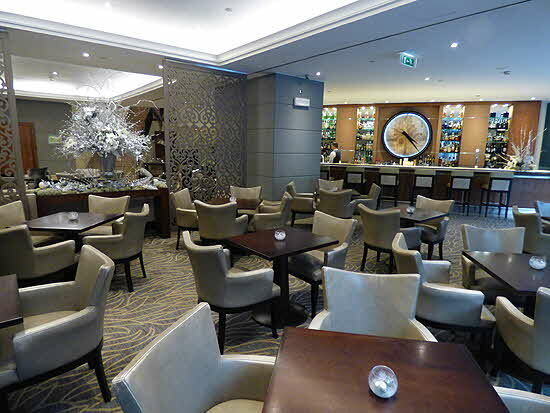 Tipico is the main restaurant at the Corinthia Hotel and, if you like good food and an impressive cellar this is the perfect place to dine when you are in Lisbon. Ethnic Portuguese cuisine is very enjoyable and there are numerous restaurants in Lisbon, including Michelin-starred ones, which offer solid Portuguese dishes and very good wines. But it was international level haute cuisine that I was looking for or, even better, perhaps a fusion of high-end ethnic and international; and I was not disappointed at Tipico. Presided over by Nuno Canela, the assistant food and beverage manager, and the sous chef Diogo Felix who is steeped in the unusual combination of Brazilian and Japanese cooking, our dinner there was as spectacular as at any starred restaurant whose kitchen I have been fortunate enough to experience. 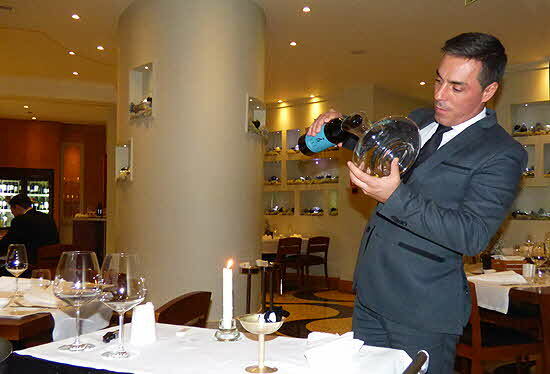 I was flattered but not surprised when Nuno, who was the assistant to the assistant beverage manager the last time I stayed at the Corinthia in Lisbon and who had taken care of my meal then, not only remembered me but also remembered my choices. Nuno is a perfect example of the type of staff that you would expect to find at a Corinthia property. He recalled that I enjoyed the Shellfish Cataplana I had six years ago, as well as the Alvarinho white wine that accompanied my meal. And while that would have been a good choice this time around as the Cataplana seafood is still on the menu, we agreed to give chef Diogo full rein over our dinner. We began with a series of small appetizer dishes that included a truffled coddled egg on a bed of smashed bread and garlic; a timbale of fresh cheese curd and tarragon wrapped in aspic on a bed of peeled Muscat grapes and lemon curd drops; smoked Norwegian salmon wrapped around cr�me fra�®che; octopus salad and oysters from the appetizer buffet and a few other delectable tidbits. Nuno surprised us with a bottle of Duro’s Vale da Poupa, an aromatic Muscat field blend, a slightly off dry white wine that paired beautifully with the small plates. 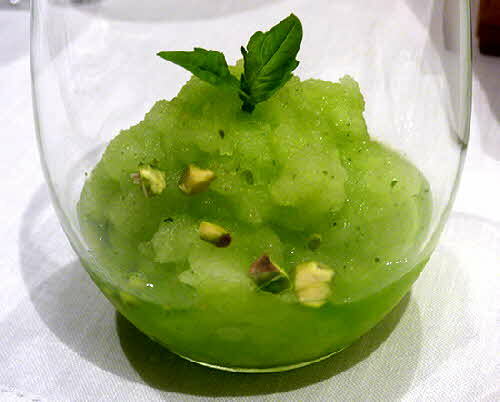 To cleanse the palate, a lemon/basil sorbet with red pistachio nuts was offered. 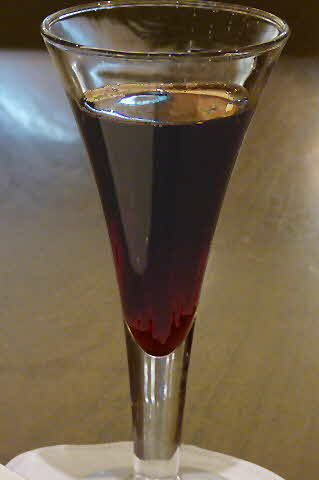 For the main course, he opened a 2010 Neves Merlot Reserva. My main was a Vitello dry aged fillet, cooked medium rare as I like, with asparagus peels and Madeira sauce. 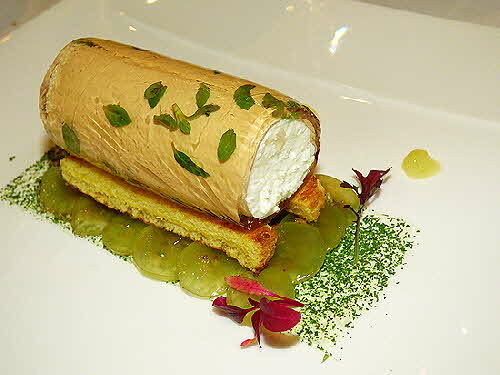 I did not have to ask for it to be cooked that way, either Nuno remembered or, and that is the most probable, they keep detailed notes on the preferences of return guests -- the way other exceptional European 5-star properties are known to do. 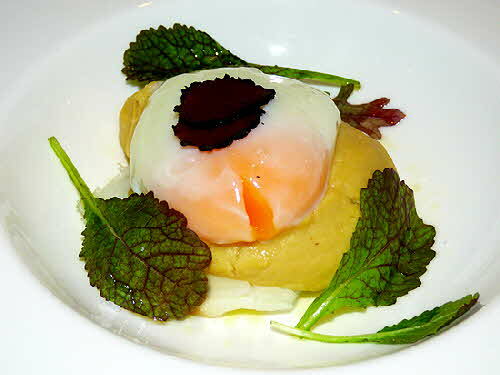 Barbara’s main was a classic Portuguese codfish dish with chickpea pur�e, boiled egg and truffle on top of mustard greens. The presentation for all dishes was outstanding and the taste was divine! At Nuno’s suggestion, after finishing the meal we moved to the Tempus Lounge for dessert of rice pudding, poached pear, ginger and candied nuts, and a glass of vintage black cherry liquor while listening to the piano player tinkling the ivories. We ended our evening listening to guests singing along to the familiar melodies; what a delight!